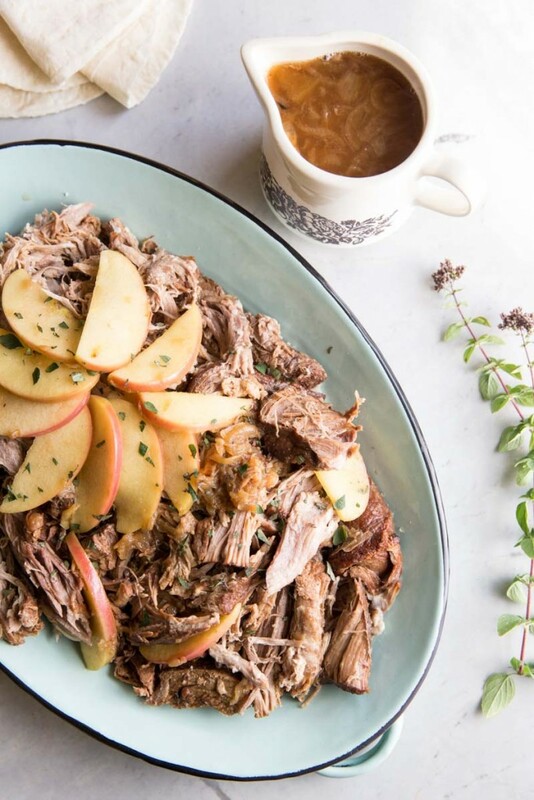 This slow cooker pulled pork recipe is so easy, prepped in less than 20 minutes, with less than 5 ingredients, and the best part – it can be used in so many different applications. The day we made it, we ate it with roasted acorn squash, sautéed apples and onions, and warm tortillas (the tortillas are a tip from the Pioneer Woman’s slow cooker pulled pork recipe that we’ve enjoyed over the years). 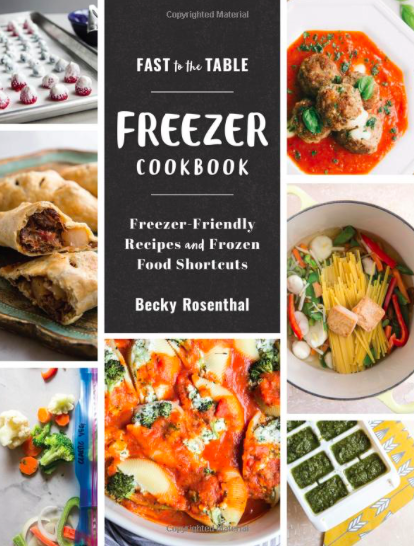 The next day we enjoyed it over salad and then we froze some to use for quesadillas or tacos later (tips for freezing and storing at the bottom of this post). The juices from the slow cooked pork can be reduced and used as a sauce for tacos or with sautéed vegetables. I’m starting to see a theme with all of my fall recipes of ease and elegance. Have you ever seen a more beautiful pulled pork??! And from the slow cooker non-the-less. 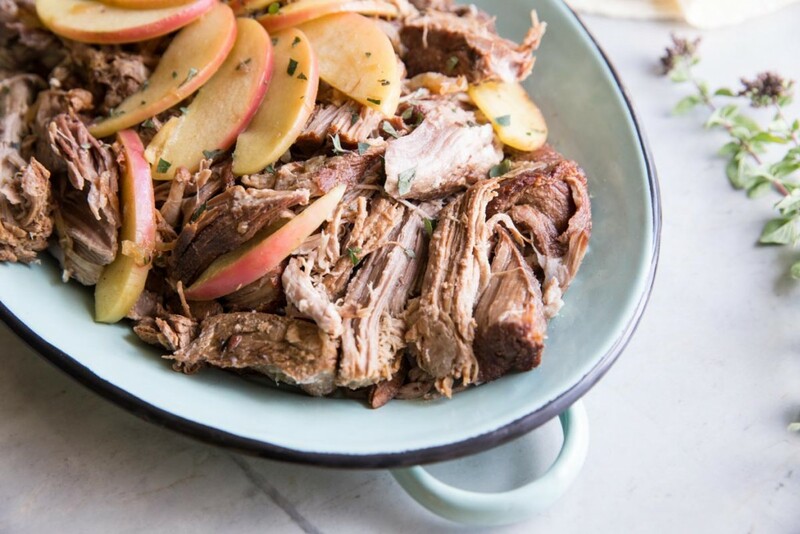 Slow cooker recipes are usually monocromatic and appear unappetizing though often tasty but I’m really excited at how lovely pork can actually be! Every one of my latest recipes are also easy, because that’s just what my life requires right now (see this chicken recipe and this soup recipe). And another ongoing theme…orange… I may turn orange soon with all of the squash and carrots I’ve been eating. 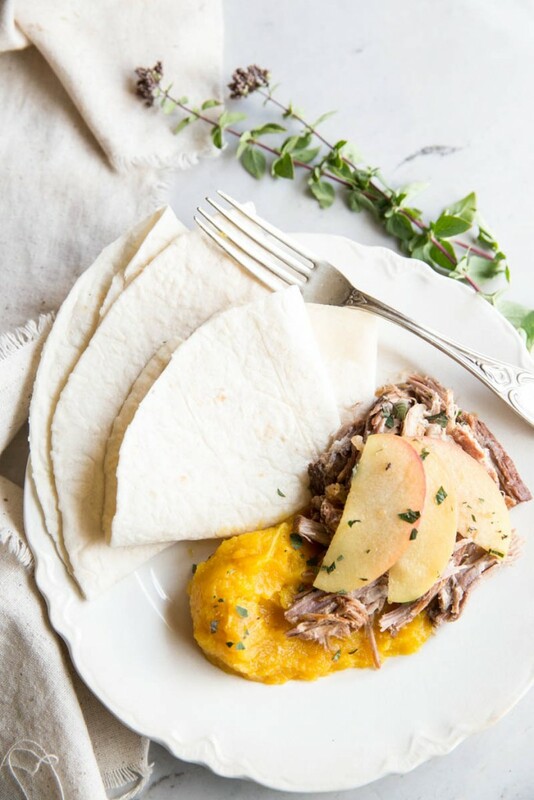 And why stop now, this pulled pork is great with a side of roasted squash! My fall is packed with themes and routine, as I spoke about last week. 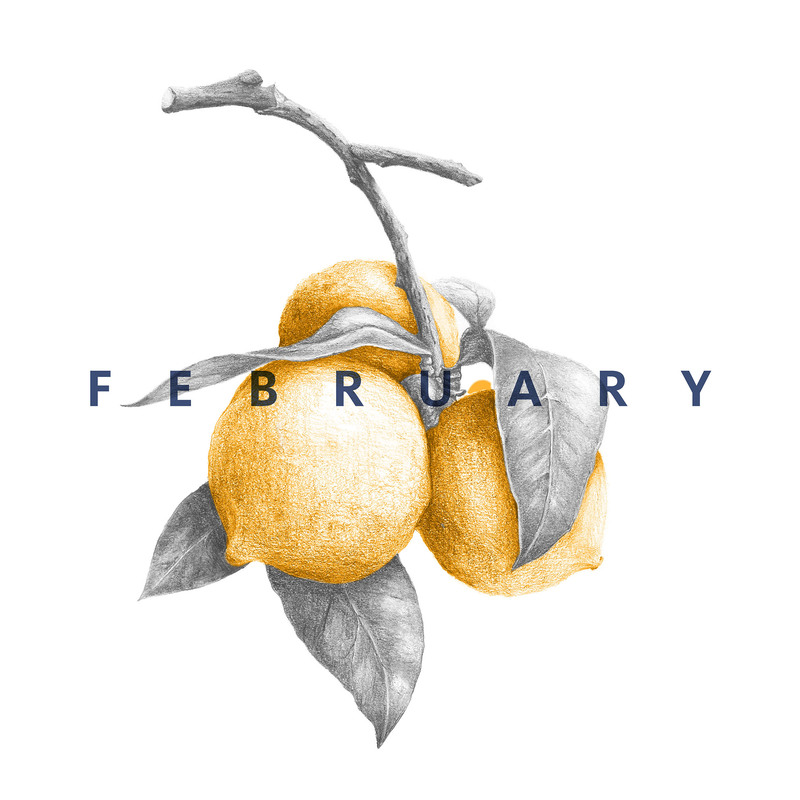 Other themes I’ve been holding onto for my family, include slowing down motherhood and being committed to friendships and community within our church. Though its so easy to pack out our days, when I do I am exhausted at the end of the day, more easily frustrated with my 3 year old and then also filled with guilt for lack of focus and attention on my little gal (2 months old now). So I continue to try and slow things down, really see my children and their needs and not over pack our schedules. We have a small group or house church that meets once a week and as fall set in we really committed to going every week and building up those relationships. It’s not an affinity group of people that all look and live the same way but more of a small family-type community where we can all care for one another, speak truth and grace, and work through our differences. Its not always easy to be a part of a group like this but SO worthwhile! It’s real- exposing our weaknesses as well as our strengths and encourages healing which is not always a fun path. Being committed to this group helps us to continue in our faith and stay tied to a group of other believers also sorting out their faith. This pulled pork recipe makes a huge amount of pork (especially for a family of 3 eaters) so I freeze at least 3 small zip lock bags full when I make it. Then we defrost it for quick meals on evenings that we have our house church meetings or other events going on. 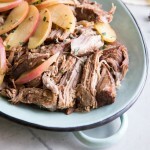 So, this Cider Pulled Pork will continue to be thematic through this fall and into winter – definitely not a bad thing! 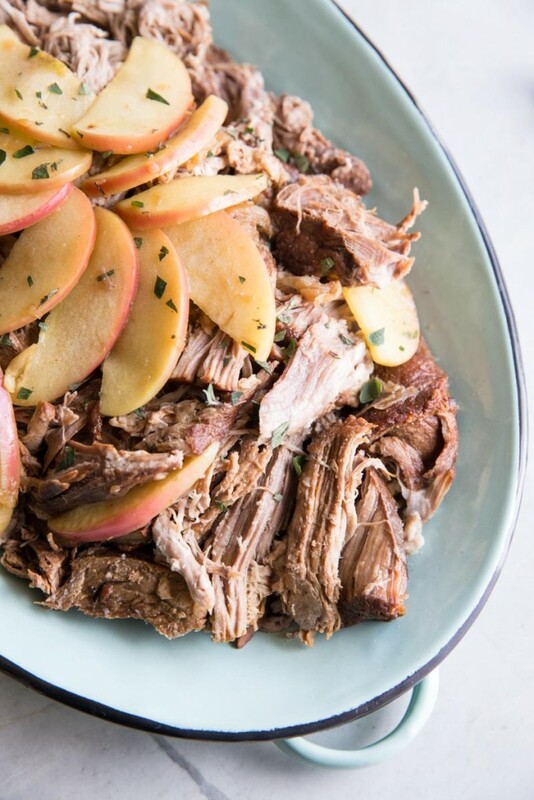 A super easy fall recipe for apple cider slow cooked pulled pork that can be used as a main dish with sides, for tacos, or on top of salads. Heat a large skillet over medium high heat. Add 1 tablespoon of oil to the pan. Season all sides of the pork with the salt and pepper Brown the pork roast, best side down first for 8 minutes, flip and brown the next side for 8 more minutes. Then turn on the ends for 3-4 minutes each. Transfer to the slow cooker, best side up, and add broth and cider. 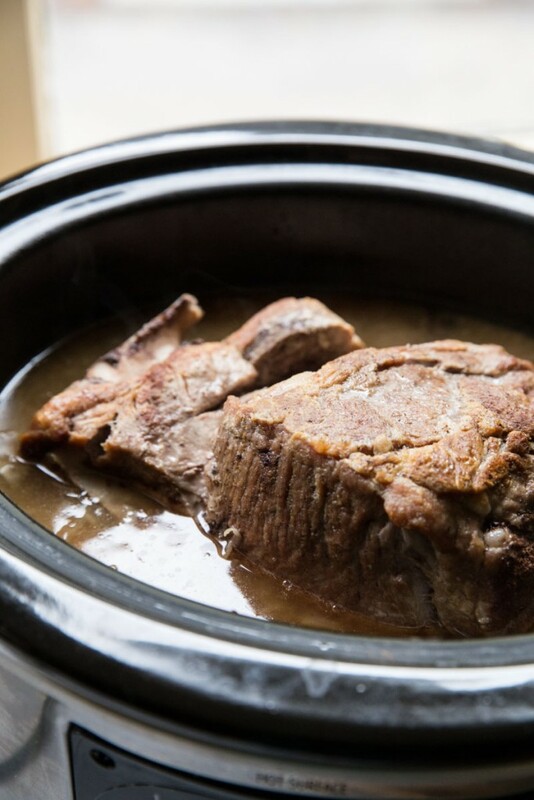 Cook in your slow cooker on high for 5 hours or low for 8 hours. We serve this up with caramelized onions, sautéed apples, roasted squash and warm flour tortillas! You can also use apple juice with spices if you don't have apple cider on hand. For the spices use 1/2 teaspoon cinnamon, 1 cinnamon stick, 1/8 teaspoon of each - nutmeg, cloves, allspice, and cayenne pepper. For the caramelized onions, slice two onions thin. Use the same pan you seared the pork in and turn to medium heat, sauté the onion in the pork fat, stirring every 5 minutes for 15-20 minutes. For the sautéed apple, combine 1 crisp apple, sliced, with 1/4 cup of the cooking liquid from the pork and sauté over medium low heat. To best use the cooking liquid front the pork, I refrigerate it overnight in a couple plastic containers then skim off the fat layer the following day. It will look a little jelly-like under the layer of fat but that is from the gelatin in the bones (this is good!). Spoon this out into a sauce pan and reduce for 20-30 minutes adjusting the salt at the end of cooking. Freeze or use right away. I like to use this sauce with sautéed carrots or over the pork again. For storing the pork, remove the bones the day you make the pork and store the pulled pork in plastic or glass containers in the fridge with a little of the sauce. Reheat in a skillet and the fat and sauce will melt, creating a super tasty, moist meat. For freezing the pork I like to place 1-2 cups of pork with some of the sauce in quart size freezer safe bags. Press the air out and freeze flat. 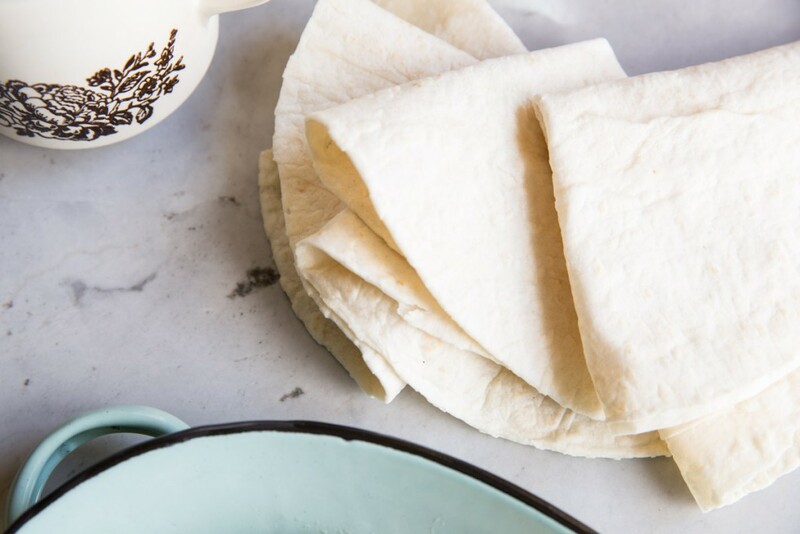 Defrost in the fridge overnight and reheat in a skillet to use in tacos or over salads. Hope you and Jerry enjoy it!! Thanks Jan! I made it this week,Jer and I both liked it. I have a little left over, which I will freeze accordingly to your direction. My first attempt at pulled pork, will make it again. Thanks!